School's out for summer! For kids that means fun, fun and more fun! For parents that also means finding some creative ways to keep our kids busy. Without some kind of plan, the summer can slip through our fingers. Thanks to www.mrsjanuary.com, here are some great ideas you may want to add to your summer bucket list. 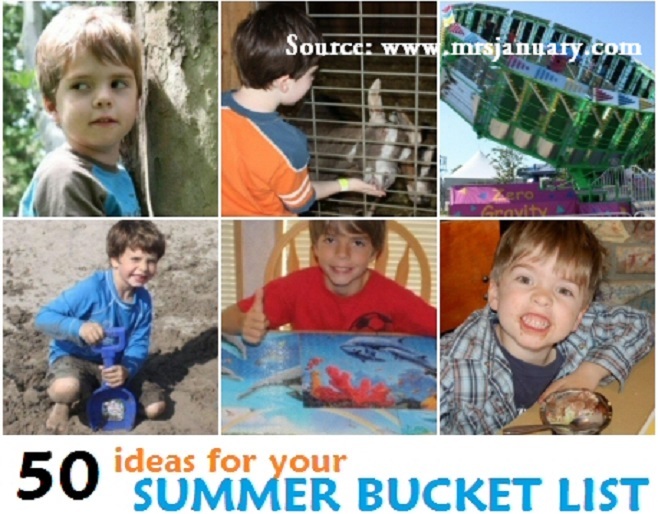 Click on the link below to discover all 50 summer bucket list ideas.